All lessons are given by Golf Professionals. Please register at the Clubhouse. Please Call Oneka Ridge at 651-429-2390 to schedule a lesson. 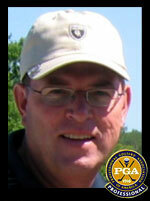 "Get Golf Ready" is a Group Lesson Program that takes you through all aspects of the game. This is followed by mentoring rounds where a PGA Professional plays with you. A great way to get into or back into the game of golf! Five lessons for $99! Call the proshop (429-2390) or click here to register.